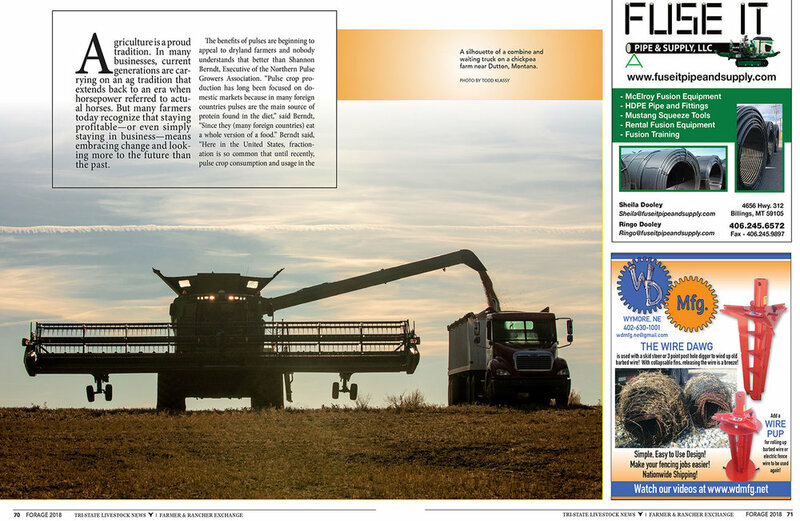 Forage Magazine, a publication of Tri-State Livestock News, published my photos of chickpeas harvest appear in the new 2018 edition of Forage Magazine. 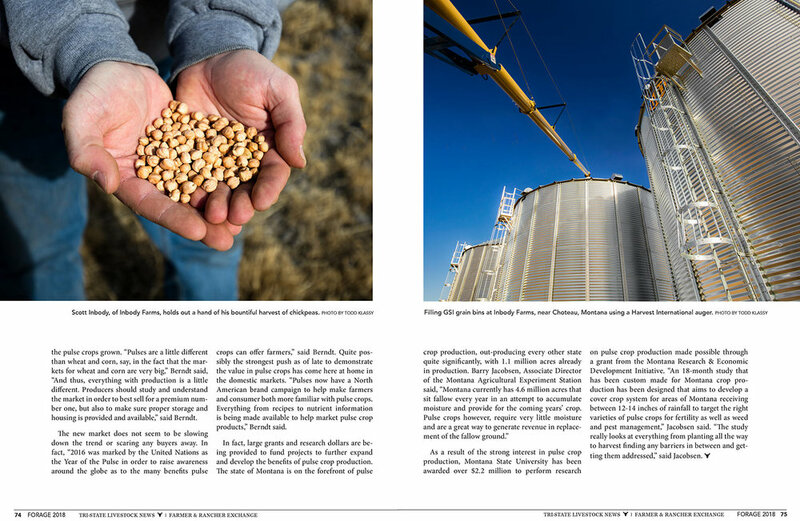 Above is the two-page spread that opens the article, and below it are the additional pages of the article featuring my photos of chickpeas farming in the article. 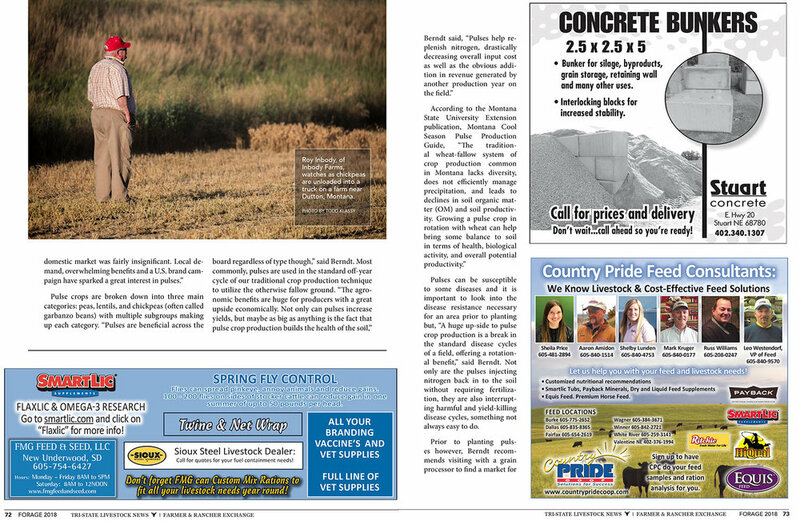 This is an example of the type of agriculture photography I do. Often I'm hire to do assignments for publications, ad agencies, or businesses, which I'm willing to do. But I also scour the fields of Montana, North Dakota and South Dakota looking for stories to photograph on my own. Those photos are then put on display on my website until a client comes calling. I've been pretty good about photographing the kind of stories others want.